Does your office feel like it’s lacking something? Maybe the atmosphere doesn’t feel right. Perhaps you’re struggling to make connections with your customers after they walk through the door. Maybe your employees don’t feel motivated to excel in their work. Whatever it is, you know you need to incorporate something — and sooner than later. 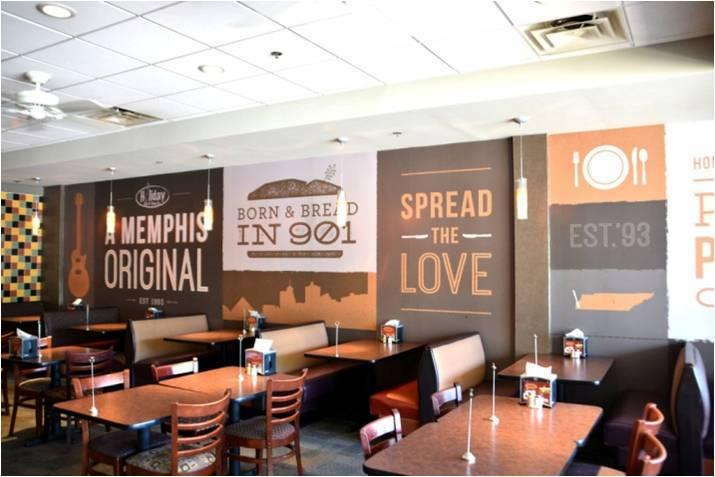 SpeedPro Imaging Memphis East can customize a large format wall mural for your business needs. If your company is located in Memphis, Olive Branch or Collierville, get ahold of us! We’ll provide you with the right mural to set the scene and create a new atmosphere in your office. Wall murals are capable of shaping your entire workspace and centering the focus of the people nearby. Whether you want one large format wall mural or multiple small pieces, the result will give you the chance to captivate an audience and tell a story. Paired with our vivid inks, our wall murals are both dramatic and thought-provoking. Our printed wall murals are able to create a dynamic atmosphere simply by capturing and representing elements of your brand. As we start our consultation meeting, we’ll ask two questions before we try to set up any design. First, we’ll want to know who your mural will be presented and displayed for. Second, we’ll ask the location of the mural placement. This information will allow us to create a printed wall mural that speaks and connects with the right people in the best way. There’s a good chance you’ll want to connect with your customers. They’re what make or break you as a business, and they should feel welcome and respected. Greeting them as they walk through the front door is necessary for making sure the rest of their experience with your business is positive. 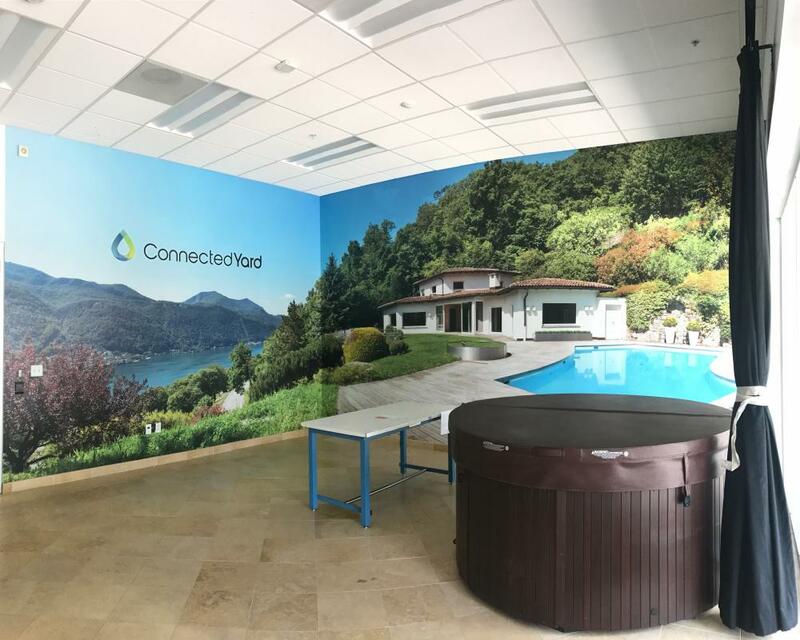 Make your customers feel welcome by installing a large format wall mural that emphasizes the important aspects of your brand and tells a story. Their attention will be caught, and they’ll ask questions to know more about your decorative piece in the lobby! You might also want to reach out to your employees behind the scenes. Sometimes, the focus isn’t always there, or the motivation is lacking, but there are ways to complete a 180! Install a vinyl wall mural in your conference room to ensure that all business meetings are focused and that you’ll always have a clear and vivid reminder of your company’s goals and values. Even one in a common break area can be a great motivator — while your team relaxes, they’ll still feel supported in their work and won’t lose motivation going into the rest of their day. 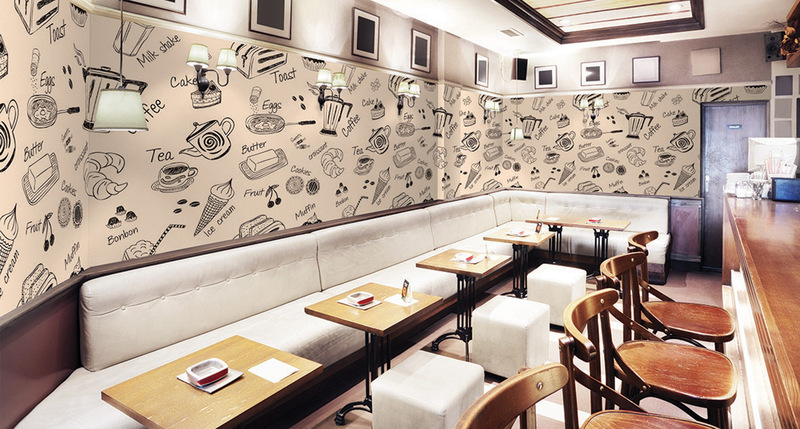 Whether you’re looking to use a vinyl wall mural to inspire people or share a story, we’ve got you covered. Call us today, and we’ll be sure to set up a consultation to begin our project together!